connect/disconnect - no tools needed. Protect display by adding a padlock. 4. Rapid Leveling: Hands free leveling of mount on wall after installation. 6. 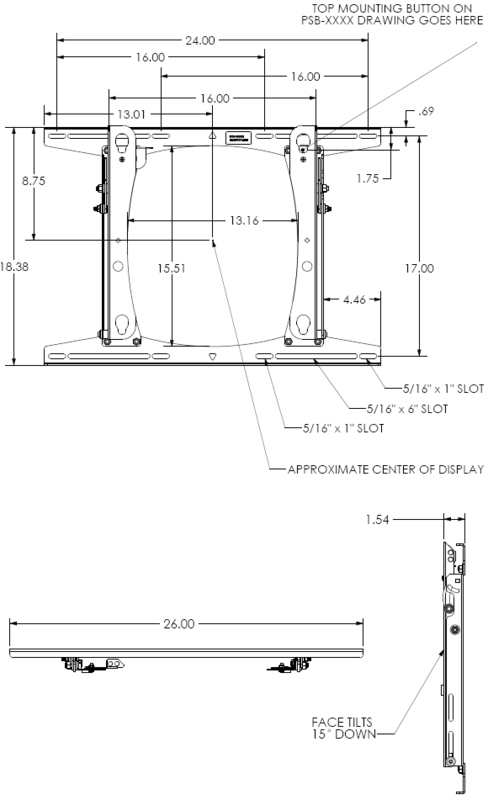 Rock-solid, lockable tilt from 0 - 15°. to rotate without removing the screen). 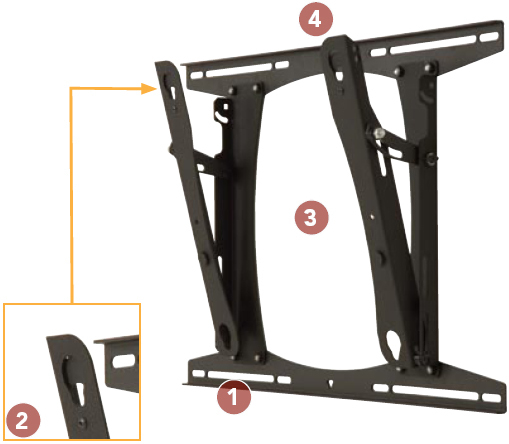 The PRO is a low-profile, rock-solid tilt wall mount for large flat panel displays.